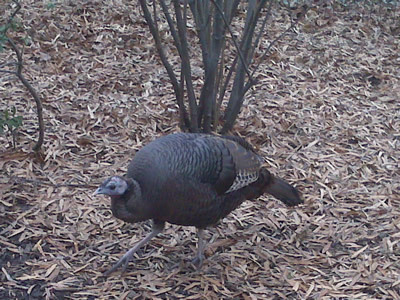 Well, I saw a wild turkey in Central Park today. Hooray! 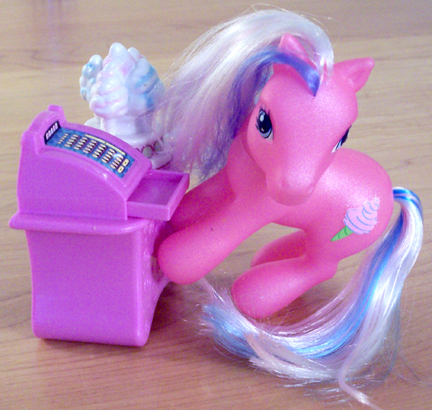 We’ve finally gotten our Unity Pony, guys and gals. Only problem is, it’s Obama who is unifying with Bush – and the dynamic duo wants a lot more of your…CHANGE. The federal government has decided to spend $800 billion more on purchasing mortgage assets and securitizing the frozen credit markets. Yes, that brings the total up to $1.5 trillion, officially. Golly gee, can I be a greedy bank, insurance company, financial institution, mortgage lender or credit card company too? All I have to do is get “too big to fail,” and voila! I can steal from the Treasury with both hands and laugh all the way to the bank, as my employees who put their 401(k)’s in my company lose their jobs and their financial futures. Wow, screwing millions of people to the wall is FUN!!! But I digress. Barack Obama keeps saying there is only “one President at a time,” but in reality, he and Bush are acting as a team. How sweet! WASHINGTON — America has never seen anything quite like this: The president and president-elect acting like co-presidents, consulting and cooperating on the day’s biggest crises. “It’s pretty unusual,” said George Edwards, a presidential expert at Texas A&M University, in College Station. The 24-7 nature of the global economy, which demands timely reaction. Incoming and outgoing presidents who have personal and political reasons to show that they can manage a crisis. A president-elect, Barack Obama, who “believes in strong government and wants to get things under way immediately,” said William Leuchtenburg, a University of North Carolina at Chapel Hill professor who’s written extensively about the presidency. A lame-duck president, George W. Bush, who’s leaving office voluntarily. “Bush was not defeated. That makes for an easier relationship,” Leutchtenburg said. Will I get a pony? On the Democratic side the predicting is easy. It’s 99% certain that Obama will be the nominee. No one (Hillary) will be allowed by the party establishment to even consider challenging him in the primaries. if anyone does, it will be someone like Mike Gravel who will not be considered a serious candidate by the media or the voters. The GOP side is far less certain. The first factor will be how Obama is doing around the 2010 midterm elections. If he is struggling in the polls and the economy doesn’t look to recover before 2012 then the GOP will mount a serious challenge to his reelection and you can expect the GOP establishment to unify behind one candidate before any votes are cast, as they did in 1999-2000. They won’t want a real competition for the nomination at the ballot box. If Obama looks unbeatable in 2010-2011, expect the GOP establishment to run someone like Bob Dole or John McCain as a token candidate, but don’t expect any big names with real ambitions to agree to be the sacrificial lamb. But if the party bosses don’t commit to a “heavy-weight contender” that means that a long-shot candidate could take the nomination just like Clinton did in 1992. In 1990 George H. W. Bush was very popular so the Democratic frontrunners like Mario Cuomo decided to skip 1992 and wait for 1996, which allowed the Big Dawg to get the nomination and win when Poppy’s popularity went bye-bye. If Obama’s poll numbers tank in 2012 (this scenario assumes they were relatively high through 2011) then we could see an unexpected 45th President.